A copy of our first feature film disappeared in Yemen, on the day of the tenth anniversary of the reunification of North and South. A year later we are there, following the track of the lost film. This documentary has been realised with the support of the Jan Vrijman Fund. 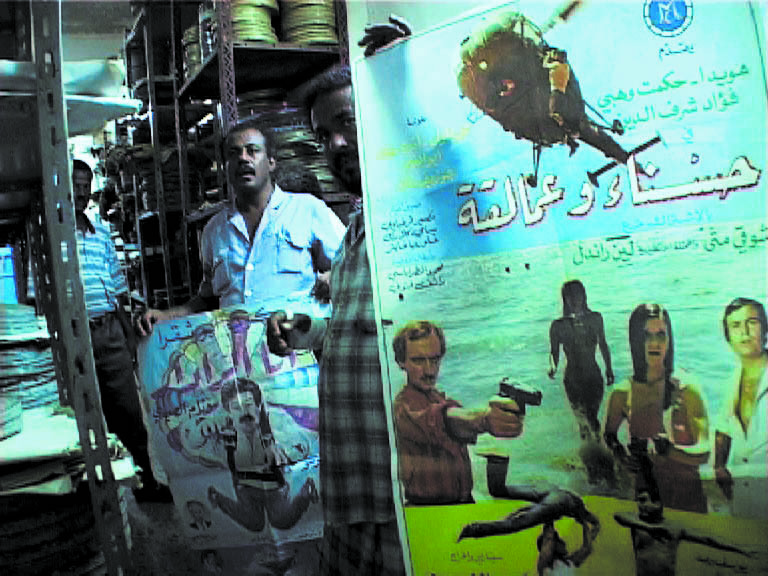 It all began with an e-mail: On May 22, 2000 a print of our first feature film, “Around the Pink House”, disappeared in Yemen under strange circumstances. It was a historic day, the tenth anniversary of the country’s reunification of South and North. We make films in an area of the world that is barely interested in cinema and rarely encourages any images apart from the official ones, and so we were somewhat surprised by what had happened: who in Yemen was interested enough in our first feature film to steal a copy weighing 35 kilograms? A year later, on the 11th anniversary of the reunification, we took a plane to Sana’a to trace the missing print. 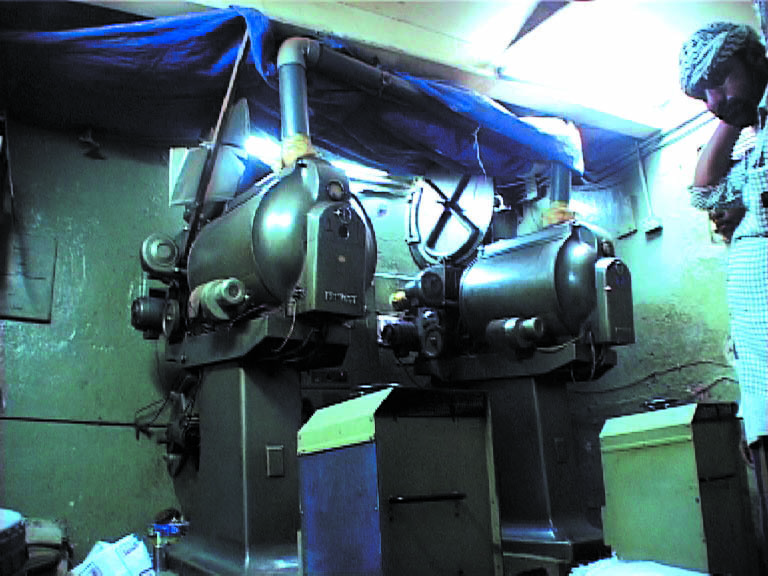 We visited the cinemas of Sana’a and Aden where the film was shown; we went to the Film Archives where the reels had been stored for the night; we drove along the same road taken by the bus carrying our film on May 22, the day it disappeared… We stuck as closely as possible to the trail of the missing print. “The Lost Film” is an investigation, which necessitated another return to Yemen, but the events of September 11, 2001 made it impossible for us to go back. 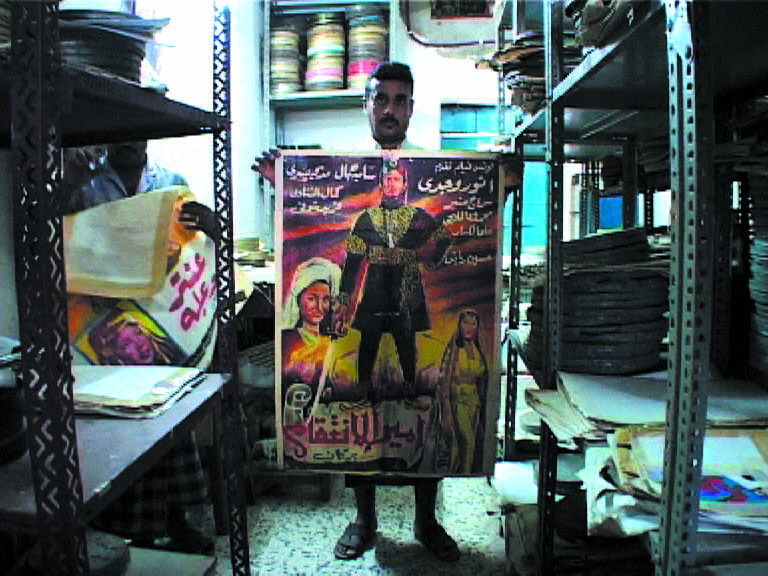 “The Lost Film” seeks to underline what representation means in this part of the Arab world to which we belong. It is an interrogation on the “image” which attempts to redefine itself far from the often westernised “orientalist” perceptions and common clichés and from the local representations, which usually mirror the iconography and rationale of those in power. Beyond this dual character, what place is there for us? How can we recognize ourselves and be recognized in and by the images we produce? What is the status of the image and our status as filmmakers in this part of the world? This is therefore more of a film shot in Yemen than a film about Yemen, a film made up of interrogations, of fragments, of stories we experienced in the country and which all tend to question our very existence and preconceived ideas. This experience also brought us face to face with our relation to temporal inscriptions, traces, memory and oblivion. Neither an analysis of Yemen nor an accurate attempt for knowing and interpreting, “The Lost Film” is a wandering, a search for ourselves, a search for the way we, as filmmakers in the here and now, relate to our history and to this part of the world. It articulates the notion of the anecdotal, in the etymological sense of the word, as “the thing kept secret”. As Hannah Arendt describes them, anecdotes are “moments of truth… moments [that] arise unexpectedly like oases in the desert”. 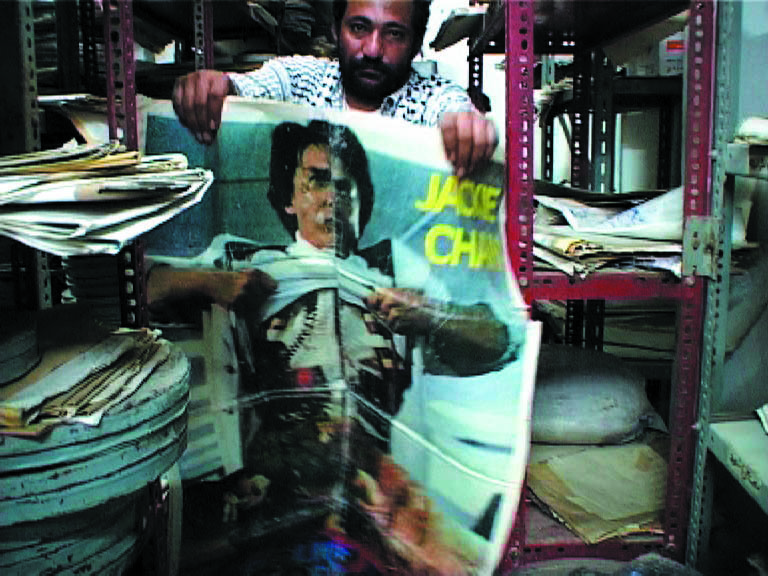 El film el Mafkoud was acquired in 2004 by FNAC (Fond National d’Art Contemporain) for its collection. El film el Mafkoud has been broadcasted by the French television Ciné cinéma.